Dear Parents - Meet Cannybots! High-speed smart toy robotic car for fun & learing. Cannybot blends Play and Learning like never before. It is the perfect toy to give your kids a head start into the mysterious world of programming, robotics and 3D-Printing. Build the toy at home with your children and use for engaging games like racing, puzzle solving, sumo wrestling etc. The toy is LEGO compatible. The cars are placed on a track and are controlled via an app that lets kids dictate direction, speeds, turns and overall driving ability. There are three modes including racing, dueling and freestyle driving; and while there are of course tracks that come with the kit, you can print variations at home to vary up the course. I think parents will really like that option a lot, since keeping the game fresh doesn’t always require shelling out for new parts and pieces. Along those lines I also like that kids can lay plain black tape on the floor, and the built-in sensors on the cars are able to read that as a track as well. That really opens up the creative juices and lets kids make tracks all over the house. What’s also neat about the Cannybots kit is that it comes disassembled, so in addition to the lure of racing, kids can really be hands-on in terms of constructing their cars themselves, along with design them with the various sticker options that come with it. There’s even the option to 3D print your own Cannybot racers in time, and some teachers are already incorporating that into an engineering or STEM curriculum. 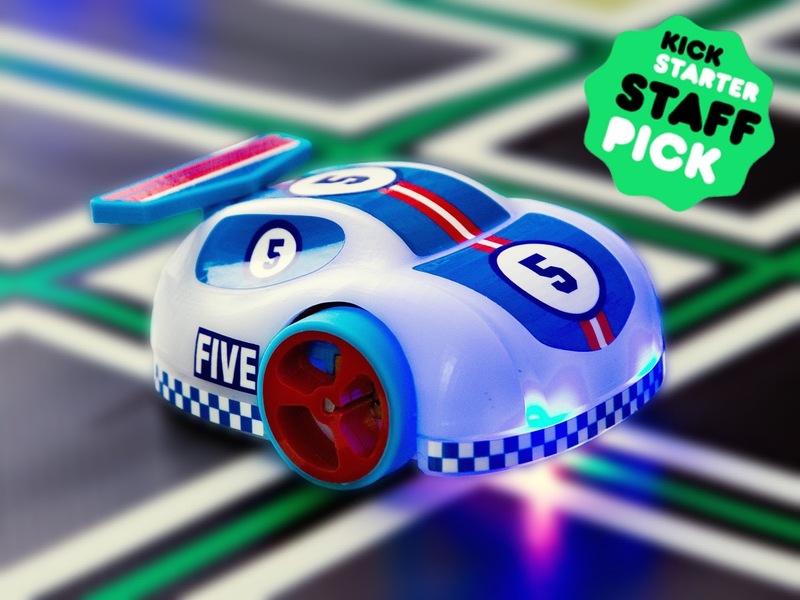 Cannybots have been selling their education version of the toy to schools in the UK, US, Europe, Australia and New Zealand. Now they have launched the home-version of the toy on Kickstarter. Inline with their vision of making technology education accessible to all children, they are also donating 1 Cannybot for every 100 kits they raise on Kickstarter to KIPP schools to promote tech education in under served communities.